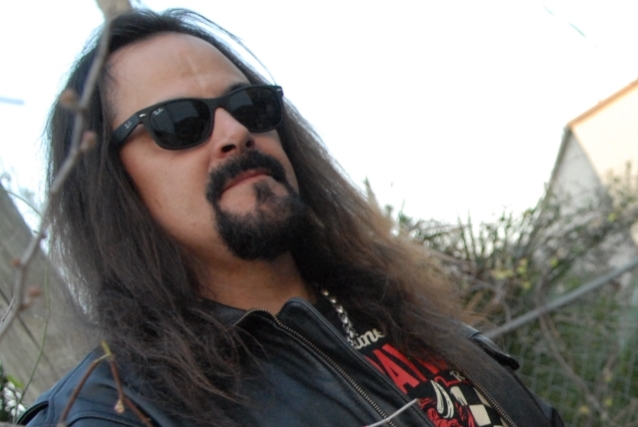 DEICIDE frontman Glen Benton has commented on the recent announcement that his former bandmates Eric and Brian Hoffman were planning to embark on a 2019 tour where they will play a full set of songs from the first four DEICIDE albums. Benton also commented on the fact that Hammerheart Records will apparently reissue all the DEICIDE albums that were released between 1990 and 2001. All LPs will get a deluxe treatment, remastering, 2-CD editions, bonus tracks (tons of never-released recordings), LP editions (first time for some), digital, MC, merchandise. AMON was the band that changed its name to DEICIDE in 1989. When Eric and Brian left DEICIDE, they resurrected AMON and released “Liar In Wait”. Hammerheart will release a new AMON album, will reissue “Liar In Wait” and also the AMON demos from 1987 and 1989. DEICIDE‘s new album, “Overtures Of Blasphemy”, will be released on September 14 via Century Media.